The overthrow of the Muslim Brotherhood’s government in Egypt on July 3rd, 2013 forced the group’s international leaders to rethink the movements options. This weekend, they gathered in Turkey. The meetings were closed to the public. The limited information that leaked out suggest that the Muslim Brotherhood International is not about to change its overall strategy or replace its aging leaders. Instead, they embraced the old guard again, in a sign that they are not about to look to the youth to transition to the new century. They elected Rached Ghannouchi, who presided over the Tunisian Islamist movement for over 32 years, to lead the political bureau. Looking forward, the movement’s leaders seem interested in limiting the damage of their fall in Egypt, not in renewing its thinking. There is no indication that they are looking at the Arab Spring in its proper context. The removal of Mohamed Morsi from the presidency in Egypt is just one unexpected turn in an unpredictable current of events created by the so-called Arab Spring. Just like the first wave of uprisings, the second uprising in Egypt has created new trends in Egyptian and Islamic societies. Politicians, especially Islamist ones, have an opportunity to learn many lessons from these events. Two things Mohamed Morsi and the Egyptian Muslim Brotherhood could have done to save themselves from the dramatic fall witnessed on July 3, 2013. First, Morsi should have ordered parliamentarian elections within the first 60 days of his presidency. The nullification of the first elections should have been a signal that the legislative power is very important for Egyptian society and for interested groups. The legislature plays a double role. It checks the executive branch and in doing so it bestows legitimacy on the government. The legislative void had created a deceptively enticing opportunity for politicians, like Morsi, to consolidate power, which he did, and that cost him the presidency. Before moving on to the next point, let’s make something clear: having the legislature in place is not an absolute guarantee that would have kept the Egyptian military out of politics. But it would have made it harder for it to get involved. It is a fact that the military leaders did not like the Muslim Brotherhood’s rise to power. They did all they could to remain influential and keep the Muslim Brotherhood out since the fall of Mubarak. But they also did all they could to keep the appearance of siding with the people and acting within the “rule of law.” It was a unique opportunity for them to see millions of people in the squares calling for the fall of a regime they detested all along. Their bias against the Brotherhood explains why they gave Morsi three days to work out a solution with the opposition before they forced him out whereas they gave Mubarak three long weeks (and nearly 800 deaths). Second, the Muslim Brotherhood should not have entered into an alliance with the more conservative Salafis. Doing so moved it to the right when it needed to move center-left. Most democratic societies are governed from the center and the Salafis are a drag to the far right. The party of the Muslim Brotherhood should have worked harder to establish a healthy working relationship with centrist liberal parties and activists. The Brotherhood’s alliance with the Salafis did not buy them any favors. After all, when the end was near, the Salafis have shown that they were better politicians than the Muslim Brotherhood’s and they sided with the June 30th protest movement and the military to approve the removal of Morsi. There is a basis for the above claims: the actions of the Islamist group in Tunisia, Ennahdha. 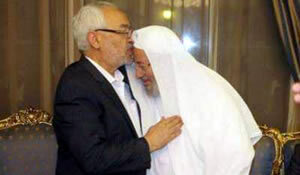 Like the Muslim Brotherhood, Ennahdha won over 40% of the seats in the first elected assembly. Ennahdha could have entered into an alliance with other Islamism-oriented political groups, like the faction of Hachmi Hamdi or other independent members of the assembly. Instead, they courted center-left parties and established a governing coalition that minimized the risks of a second wave of protest despite all the mistakes they have committed since the elections of 2011. In contrast, and more like Egypt than Tunisia, Turkey’s AKP party won a slim majority that allowed it to govern on its own. Because it is governing on its own, and with the first political crisis, protesters found the AKP and its leader, Recep Tayyip Erdogan, an easy target. Protesters blamed Erdogan and his party of authoritarianism and abuse of power. In addition to the immediate economic and political losses, AKP might suffer a setback in the coming elections unless the party’s leaders adjust their way of governing and communicating with the public. 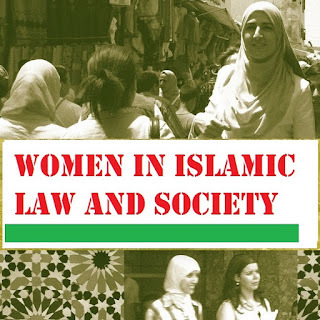 The Egyptian crisis is a humbling experience for emerging politicians in Islamic societies. It teaches them to focus more on inclusion and less on power grab, if not for the sake of their countries, then for the sake of their own political parties. Globally and regionally, the fall of the Muslim Brotherhood in Egypt will undoubtedly affect other regional crises and alliances. Regionally, Egypt’s political changes has weakened the alliance between the ruling family in Qatar and the global Muslim Brotherhood movement represented in Yousef Qaradawi. Immediately after the military declaration, Qatar’s new Emir sent his congratulations to the interim Egyptian president. Qaradawi on the other hand, called on Egyptians to resist the military coup and insisted that Islamic law prohibits the removal of legitimate leaders. The Saudi ruling family, too, acted quickly and recognized the new leadership in Egypt. Days later, King Abdullah ordered that $5 billion is made available to Egypt. United Arab Emirates and Kuwait provided another $6 billion together. Those endorsements and economic aid did not please the conservative religious groups. The Saudi Salafi satellite televisions and websites sided with Morsi despite the fact that Egyptian Salafis abandoned him, while Alarabiya took the side of the military. While the Syrian regime felt vindicated that the Brotherhood failed, Iranian officials said that the military’s involvement in politics is unacceptable and that the new leaders must meet the demands of the Egyptian people. Although Iran did not call for the restoration of Morsi’s government, they took a less enthusiastic position towards a new regime propped up by the military. It is likely that the fluidity of the situation in the Arab world will force religious scholars to cease and desist from issuing religious fatwas about political matters. The best outcome is for Islamists to be included in the political life and in return they stop using religion and religious institutions to create different classes of citizenship or to use one’s political affiliation and one’s political views as a basis for determining one’s standing before God. Political rights of all citizens should be guaranteed, and that ought to apply for and against religious-minded individuals and groups. In other words, they ought to be able to participate in the political affairs of their nations without them preaching that non-Muslims or Muslims of different sectarian and ideological persuasions are treated as second class citizens.